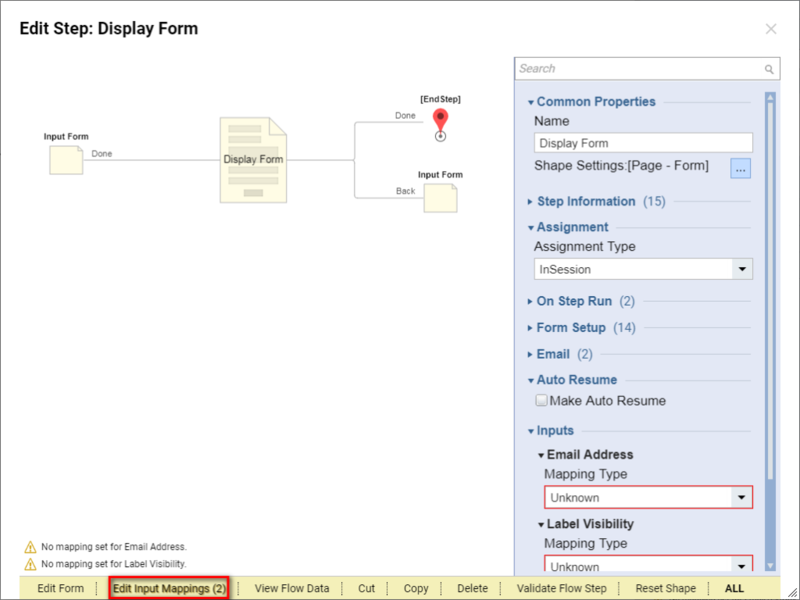 You can set form controls to be visible or invisible based on Flow data**. **	This is a very useful feature for creating simple and well designed forms, for example hiding information on a form that isn&apos;t relevant to a given user. 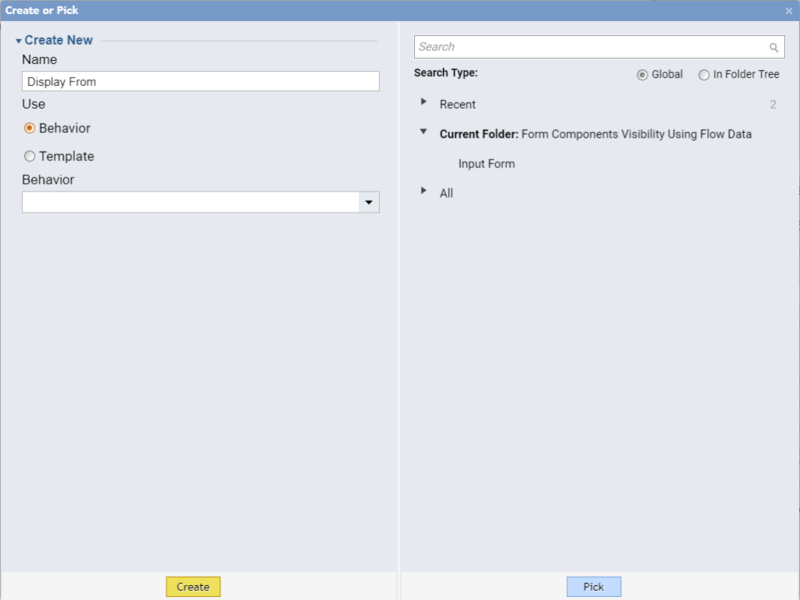 You can configure a form control&apos;s visibility by clicking on it and setting its visibility properties in the Properties	tab on the right side of the Forms Designer. 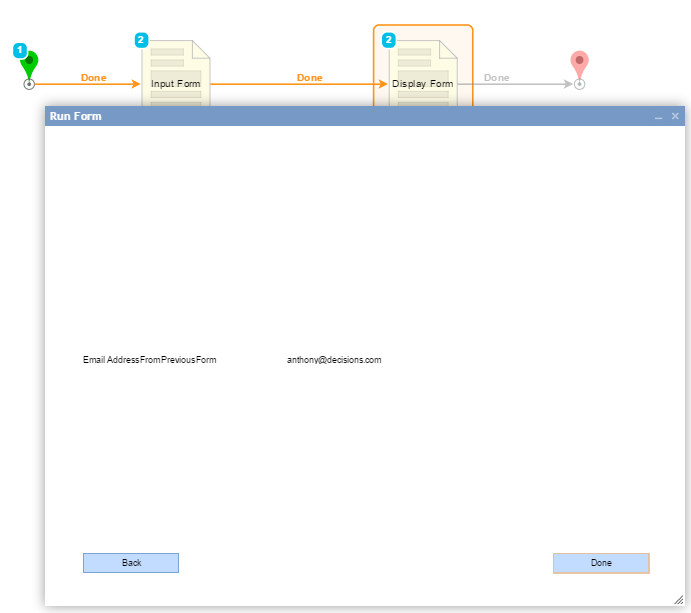 In this example we will create a Flow	with two forms. On the first form the user will be able to decide if he or she wants to display an input on the next form. In the Decisions Studio, we begin by creating a new form. For more information on creating a form, see Creating Your First Form. This Form	is designed as follows. 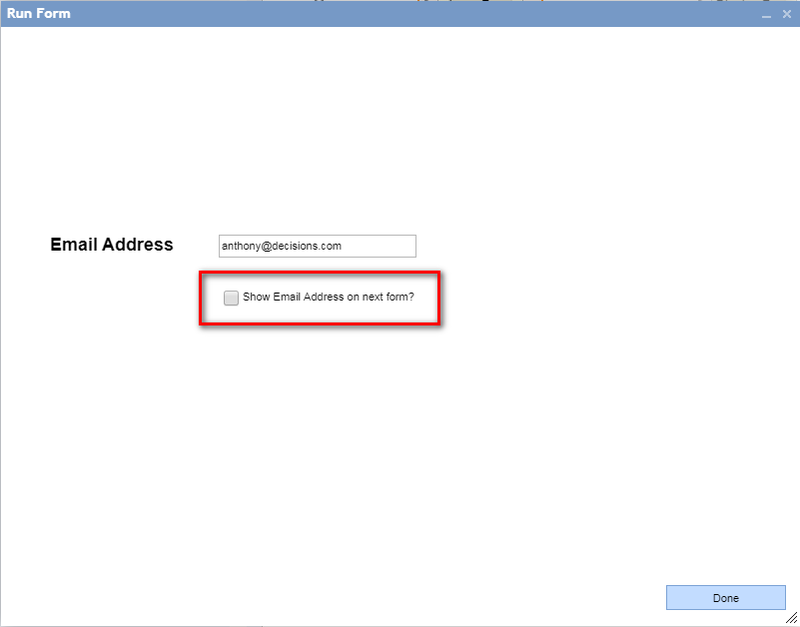 It has a Text Box	where the user can input his or her Email Address	, and it has a Check Box	that represents the user’s decision about displaying their Email Address	on the next Form	. 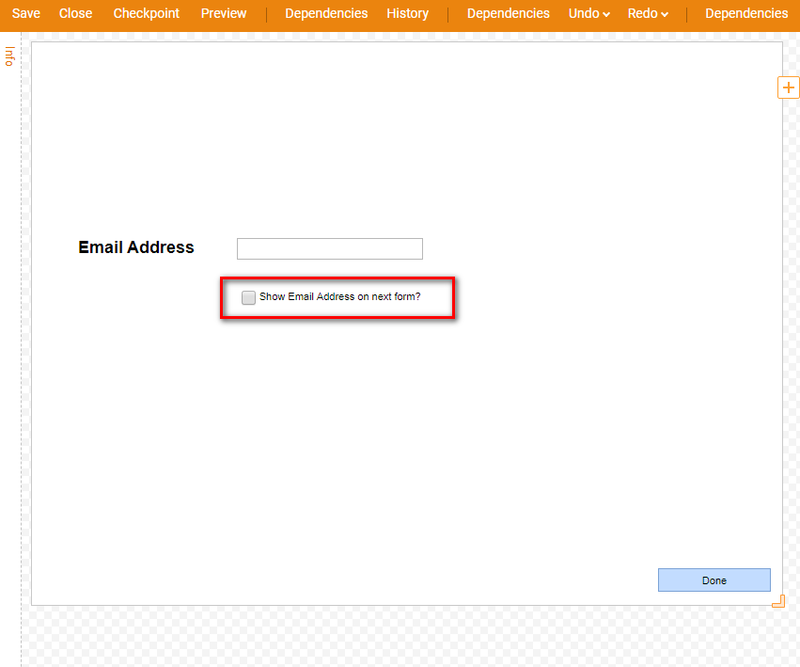 The Check Box	component outputs a Boolean	data type which can be used for Form Component Visibility	on the next Form	. When finished designing this Form	, we can save it and close Form Designer	. 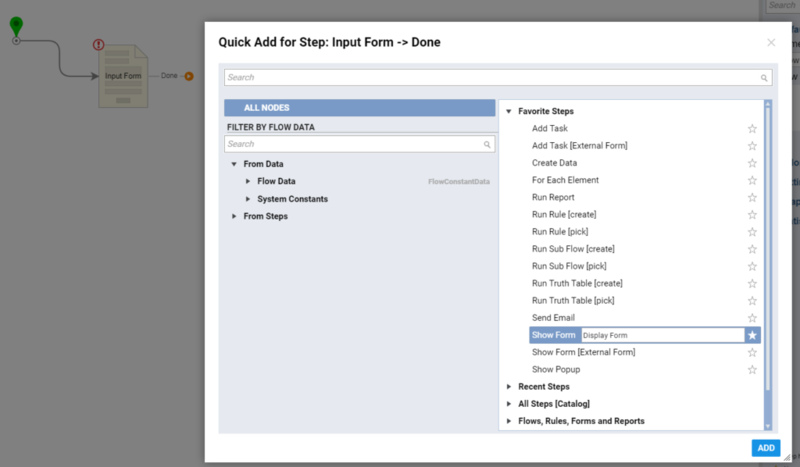 Back in the Flow Designer	we add another Form	using Show Form	component from theFavorite Steps	category. Next we name our second Form	and click Create	. First, we add two buttons	on the Form	. 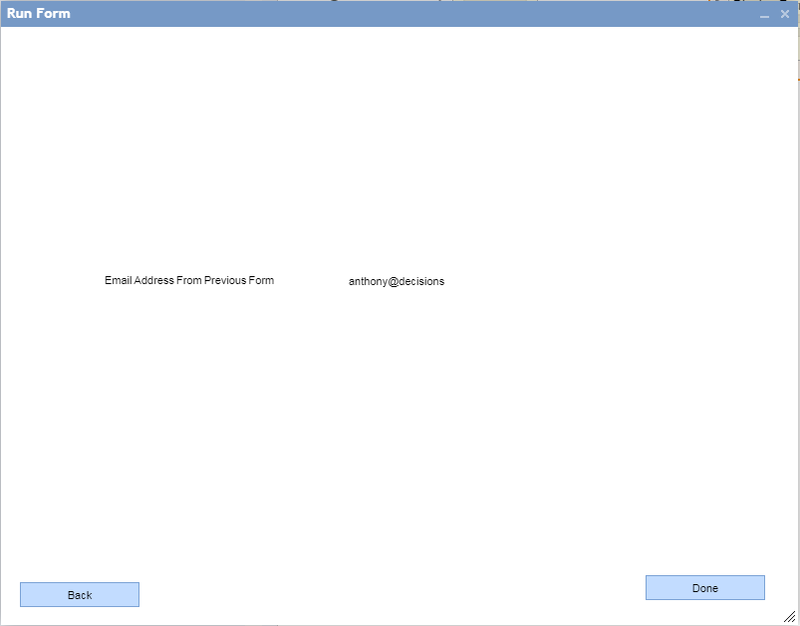 One button will close the Form	and terminate the Flow Execution	and the other button will navigate to the previous Form	. 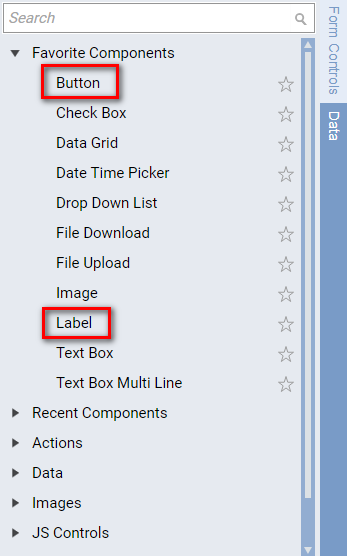 Then we add a Label	component from the Data	category in the Tool Box	. We want the visibility of this label to be controlled from the Flow	. 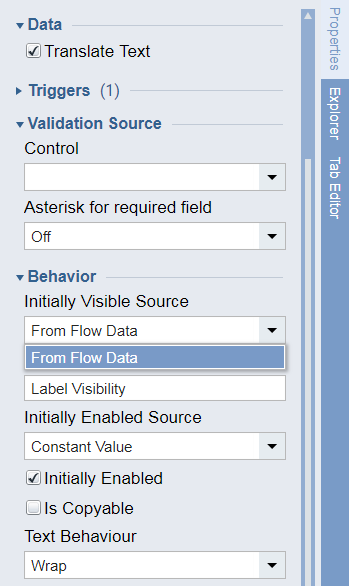 Therefore, we locate label’s	configurations and in the Behavior	section we change the Initially Visible Source	from Constant Value	to From Flow Data	. Next in the Initially Visible Data	we type in a variable that will be used to control this label’s visibility. Then, we need to add a Label	that will display user’s input from the previous Form	. 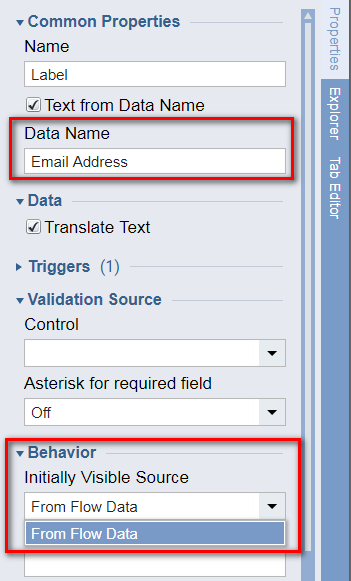 In order for the Label	to expose the data from our previous Form,	we have to alter it&apos;s properties.Under Common Properties,	click the checkbox Text from Data Name. In this example we want to display input from the previous form. The variable that we are looking for is called Email Address. In the Data Name	box we can type in Email Address. We also need to set the visibility rule	for this label. 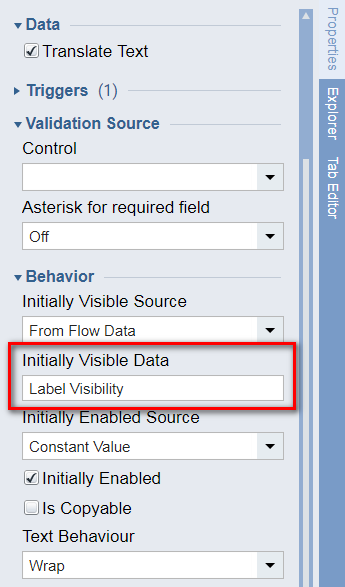 Under Behavior > Initially Visible Source	drop down, select From Flow Data. Back in the Flow Designer	we connect steps in our Flow	as pictured below. Next, we select our second Form	step on the workspace and the Edit Step	window displays. We select Edit Input Mappings	to access the Mapping Editor	. In the Mapping Editor	we connect the output from the Check Box	in the first form to the Label Behavior/Visibility	controls on the second form. Click Ok	to save and close the Mapping Editor	. This completes our Flow	. 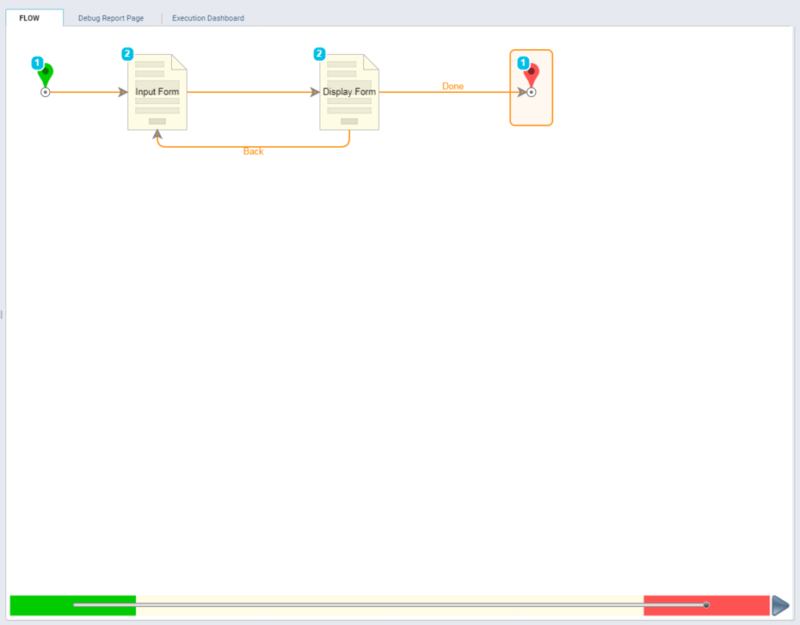 To test it we can click Debug Flow	link on the top panel of the Flow Designer	. 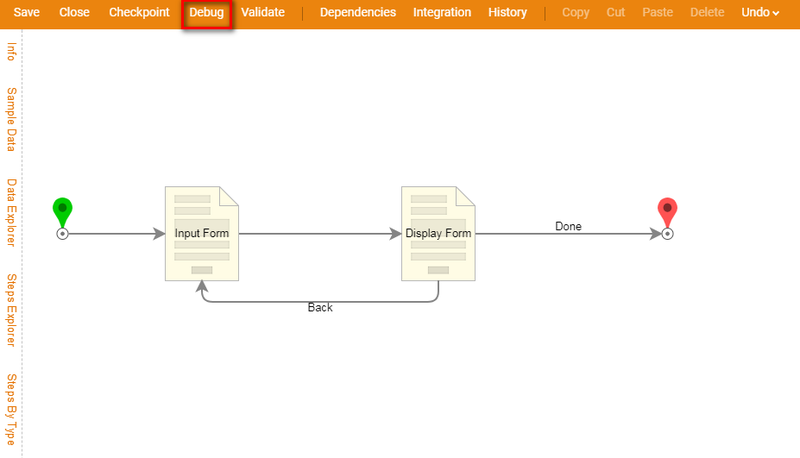 The first form in our workflow opens in the Debugger	. We fill in the Text Box	with our Email Address	, leave the check box unchecked, and click Done	to continue to the next Form	. The second form in our workflow opens and our labels are not	visible. This verifies that are forms have been configured correctly. Now we click the Back	button to go back to the first form. The second forms opens and our labels are visible this time as we designed it. We click Done	to terminate the Flow	execution.